Is anyone else in shock that it is March already? Not that I’m complaining…with the winter we have had this year, I am ready to get past it all quickly! Spring teased us a little bit lately. We had 50* weather. It’s amazing how warm that feels after having 0* for so long. It was like a heat wave came through. Of course then, we got hit with more snow. What’s another 4 inches when we have had so much? Hopefully that is the last of it until next winter, but I’m not holding my breath or anything. What fun things have you been working on? 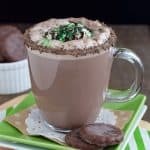 As you can see, I am in a complete chocolate and mint phase, so all that fabulous green stood out to me as I picked the features for this week. I have my coffee ready, and I am looking forward to seeing more fun things get linked up this week. 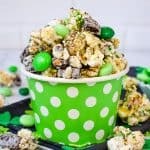 Minty Shamrock M&M Popcorn from Kleinworth & Co. Thanks for the party, Jocelyn. Have a great week! Jocelyn, I hope you get to enjoy your “warm” weather for a few more days. Relish it while you can. Thanks so much for hosting tonight’s fiesta. Thrilled as ever to be here. Enjoy your week! Oh March, you remind me that the end of beautiful weather in Florida is coming to an end! We have it nice during the Fall, Winter and Spring months here in FL but once we hit June, it all goes downhill! I think no matter where you go, there will always be times of the year that are brutal. Except for in parts of California. I hear it’s always nice in certain parts of California! Speaking of Winter in March, we got hit with ice yesterday here in Texas!! I’m ready for Spring, too! Thanks so much for the party Jocelyn! I am hoping the weather will warm up a little too! Have a wonderful week and stay warm! 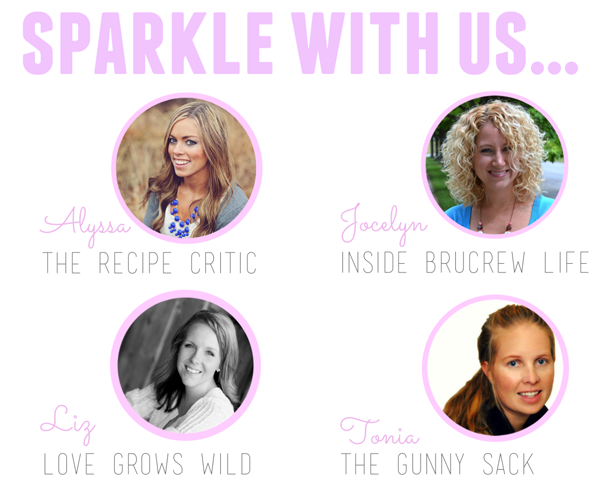 Thanks so much for including me in your fabulous chocolatey, minty round-up, Jocelyn! I hope we ALL get to welcome spring soon… 😉 Hope you’re having a great night! Such fun and tasty features this week Jocelyn! The weather has been so back and forth here, we are all suffering from allergies. Is it just me, but when did they change the shape of thin mints, I’ll be honest I haven’t eaten them in years and was surprised by the new floral shape. 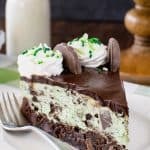 I never saw so many mint chocolate and green desserts that I wanted all at one time! MINT! 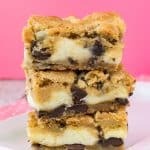 OH YUM! I LOVE mint!!! 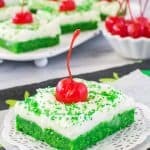 Thank so much for hosting a mintylicious party! 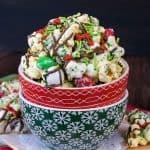 Thank you for sharing my popcorn – what a great surprise. Made my day! 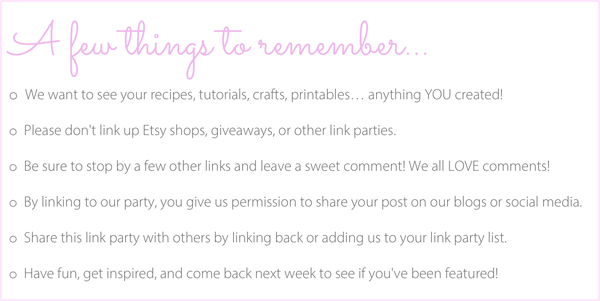 Thanks for hosting another terrific link party, always appreciate it!